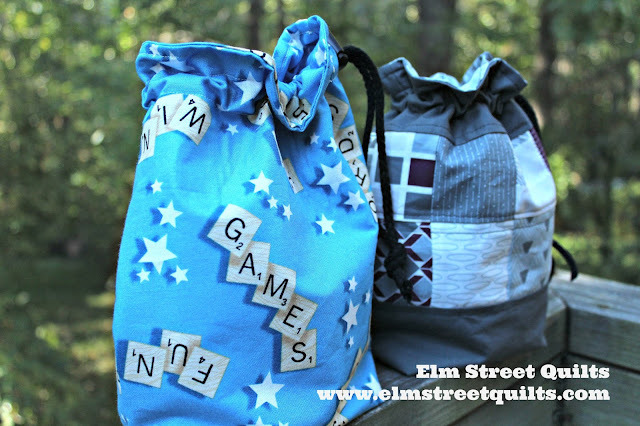 Drawstring bags are so fun and easy to put together with my Game Piece Bag tutorial. This first one will keep all our Scrabble tiles all nice and secret during play! 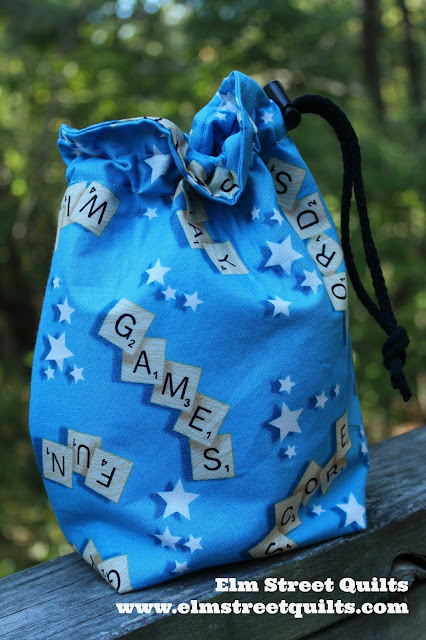 The bags are lined and clearly can be used for more than just game pieces, This second one uses some mini charm packs (2 1/2 '') framed by a solid gray. 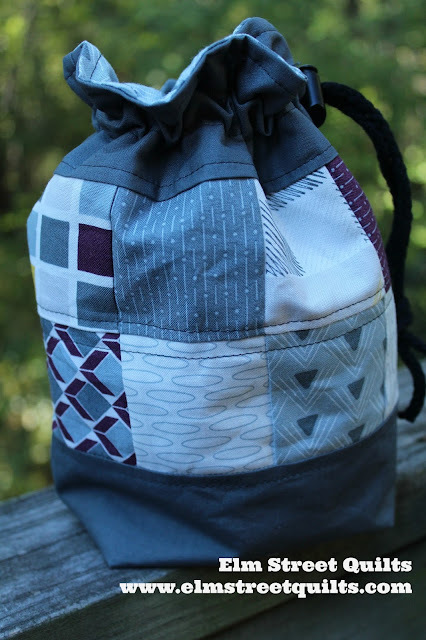 Now time to link up your finished bags for a chance to win some fabulous prizes. 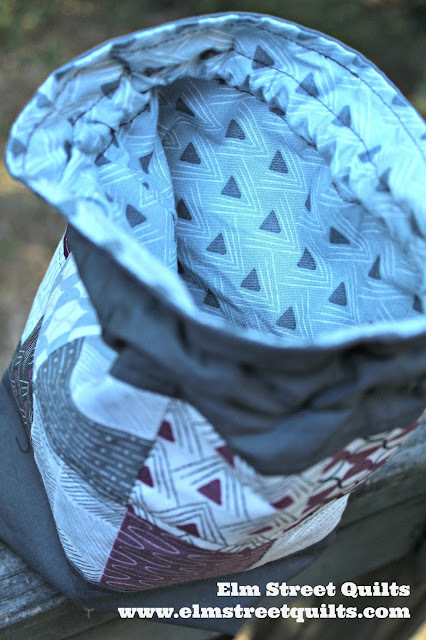 This link is available all the time off of our Bag It Entry page. Love my new bags! I'll be entering them in the Minis and More parade at with Sheri and Michelle.